When do you think that Android 3.0 will come out? Discussion in 'Android Tablet Q&A' started by Carbira1, Sep 11, 2010. Just curious probably going to wait until this comes out to buy a new tablet. Neither 2.2 or 3.0 will really support Tablet it's more of Mobile OS. Should be a posting in the main thread about this subject. You can still run the two OS on the tablet like you're doing with 2.1 on Gentouch78. In January 2011 AuGen new line of Tablets is suppose to be out, but those prices will be $200 to $400 mark and that might go higher? Consumers looking to buy an Android based tablet similar to those set to be released by Samsung with their Galaxy Tab and Toshiba with their Folio are not going to be able to access Android based tablet applications in the sort term, similar to what is available for the iPad due to technical issues Google has confirmed. According to Google executives applications for an Android based tablet will have to be rewritten using new Android code which is not due untill early 2011. Both Samsung and Toshiba plan to launch their Android based tablets later this month. Google said that applications for a tablet will have to be rewritten to take advantage of the new sizes including the 7" Galaxy Tab and the 10" Toshiba Folio. New Android OS software codenamed Gingerbread and Honeycomb are being specifically developed to deliver applications for Android based tablets. According to Toshiba executives in Japan the Company is have to recode specific applications using Android 2.2 Froyo in an effort to deliver some applications for their new tablet. Samsung is getting round the issue by including a phone capability in the Galaxy Tab however this will only deliver phone applications "not Android tablet" applications said a Samsung executive. Basic applications like email, contacts and calendar functions. Hugo Barra, the head of Mobile wrote in a recent blog when referring to Android Tablet applications "If you want Android market on that platform, the apps just wouldn't run, [Froyo] is just not designed for that form factor". Google has even gone as far as prohibiting the use of Android applications for tablets according to several sources. The native 7 and 10 inch apps will be cool. Don't know why Google is saying this now. We already know that the OS isn't Tablet OS and Apple uses the iphone OS for iPad and iTouch. I think that the Gingerbread seems likely to be tablet-friendly OS as the reviewer posted on Tech Radar. AuGen had pulled all Google Apps off the Gentouch78, but even if they're pulled you can still put them back on. Companies like SONY, Samsung and the rest is going to get slammed. As Google put the Android OS and apps has to be re-written for Tablet OS. That's the better way to do it. Looks like 2011 will be the year of the Tablet OS. 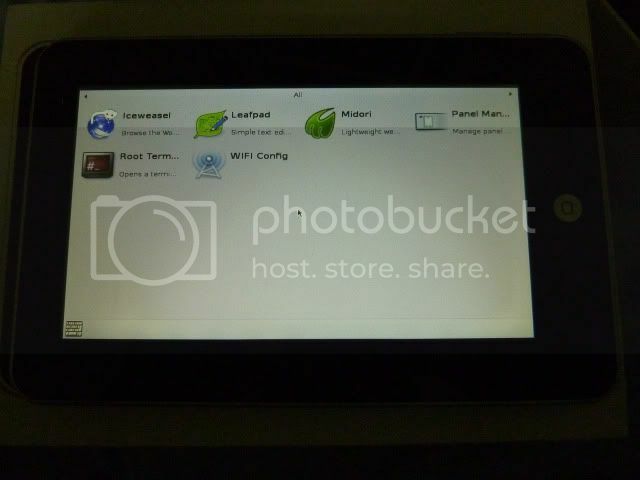 There is one programmer who has ditched Android OS for Debian on Flytouch. it will probably take years before this happens. the release of 2.2 tablet that exists in some of the Android Tablets such as Samsung Galaxy S or Witstech A81E has took quite a months before it happens. and if your gonna check, there are not much changes comparing to the older Android System. I cant even imagine what would happen to Android Tablet when the 3.0 ones are released.